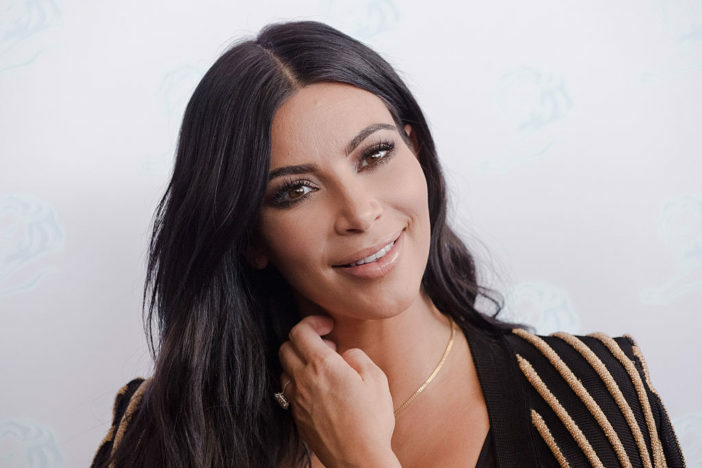 Kim Kardashian has been accused of cultural appropriation after sharing a photo of herself wearing an Indian headpiece. Considering the reality TV star has been called out for the same reason multiple times in the past, you’d think she’d have learned how to avoid the accusations. But despite being criticised for wearing cornrows and for styling her hair in fulani braids, a hairstyle which originated in West Africa, Kim is apparently still willing to push some buttons in the name of style. The 38-year-old shared pictures to Instagram today (April 7), showing her posing in a white dress while wearing a gold Indian headpiece and matching earrings; an outfit she wore to husband Kanye West’s exclusive Sunday Service gathering. According to The Independent, the delicate headpiece is otherwise known as a maang tikka. It is typically worn by a woman for the first time on her wedding day, when it is placed on the bride’s hairline with a drop pendant which rests on her forehead. It is one of 16 traditional bridal adornments, called the solah shringaar. After sharing the picture online, many people were quick to slam the reality TV star. Of course, you have to disrespect the indian culture cause u [sic] think its a costume. I forgot u [sic] were shameless. Nope, Kim. Definitely not here for it. This is Asian heritage, not your damn costume !!! Love this look!, I love how you embrace different cultures and different things we all think are beautiful! The 38-year-old has defended herself in the past after being accused of cultural appropriation, as she explained she was aware of, and respected, where fulani braids came from. I actually did that look because North said she wanted braids and asked if I would do them with her. I [do] remember the backlash when I had the blonde hair and that I called them ‘Bo Derek braids.’ But I obviously know they’re called fulani braids and I know the origin of where they came from and I’m totally respectful of that. I’m not tone deaf to where I don’t get it. I do get it. Though it’s obviously up to Kim to wear whatever she wants, she might want to think twice in the future about whether her outfit could be considered offensive.